Fellowship Reviews: For What It's Worth: What Will Happen to the DC Universe in September? 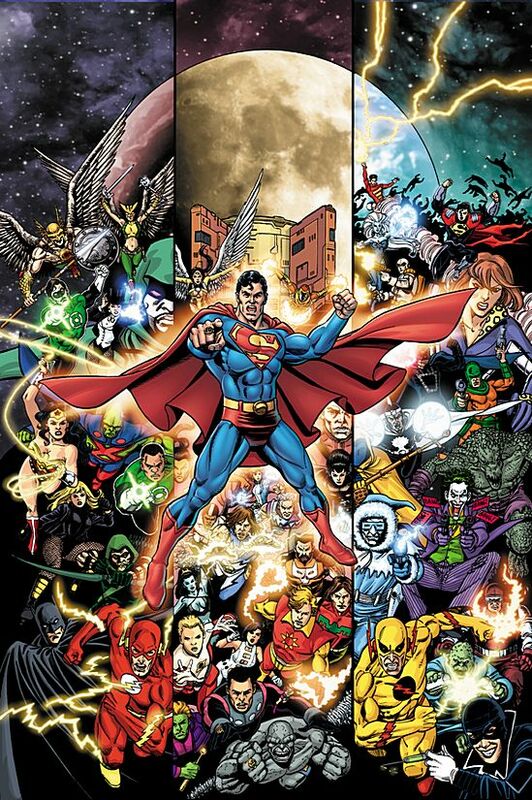 For What It's Worth: What Will Happen to the DC Universe in September? You may have heard by now that something BIG is happening to the DC Universe in September. As a matter of fact, Geoff Johns and Jim Lee are to make an announcement at the Hero Complex Film Festival on June 11th regarding the future of the DC universe according to the DC Source. The prevailing theory is a reboot of CRISIS proportions. Just start over from scratch. There is some logic to this as DC is putting out all efforts to finish up story arcs before the final issue of the time-altering event Flashpoint ends. The final issue - #5 comes out on August 31 and has been reported before, is the only DC comic that will be released that week. Plus, it's been reported that several creators have signed a pact with the company NOT to discuss anything to be released this September and beyond. Probably at least until we get into August. But is the DC universe wrecked? Some fans would say it's been wrecked since the original Crisis. I liked Crisis and the universe it gave us. The problem was every few years or so they would have to go back to fixed what has been messed up since then. Now, it seems like the Crisis has been totally wiped out! To me - yeah things are messed up, but I'm not sure about doing spring cleaning. Are things THAT MESSED UP??? I dunno. Some suggest that all books will be cancelled and restart with #1. I'm sorry, that's a MARVEL stunt. DC would not kill a book just to bring it back with a new #1 to generate extra sales. Action comics just hit #900 (remember, there was a little news story about one panel of a story most people have not read). Why kill the title just to get a new #1?